Gadget-loving Steve Wozniak sounds like he won't be queuing for the iWatch on its day of release. 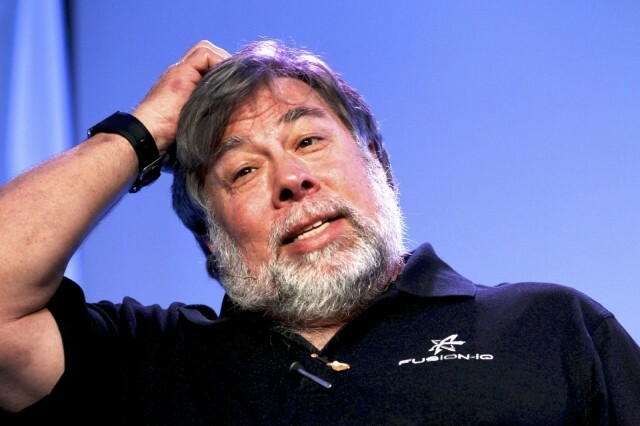 Steve Wozniak hasn’t been involved in Apple business for a long, long time. However, that wasn’t enough to stop him from participating in a recent, wide-ranging discussion at CeBIT 2014 in Hannover — on everything from Tim Cook’s performance as CEO, to whether or not Apple still has the cool factor. On whether he agrees with analysts calling for Cook to be fired, after Apple shares dropped by 25% since October 2012? I don’t agree. Cook [hasn’t] been at the helm of Apple for a long enough time. We haven’t seen what new categories of products are being developed secretly. Who knows what’s going on in the company. But we have had stiff competition in the smartphones arena. Unfortunately, a lot of other companies came up with great products. But look at who is number one as far as sales, profits and company valuation are concerned. Tim Cook is a hard worker and he is very good at execution. I don’t know him too closely. But, I’m willing to wait for a longer time. On whether Jobs’ death was fatal for Apple? On whether a new product would be out now, in the event that Jobs had lived? On what technology he uses now? On whether Apple is still cool?